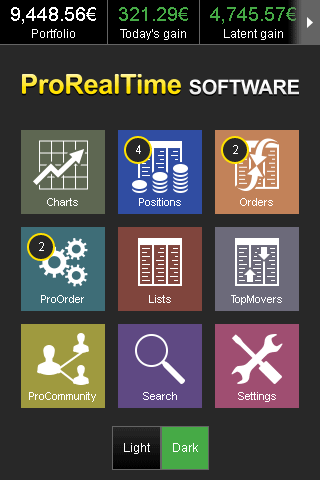 Get the real-time version for free! 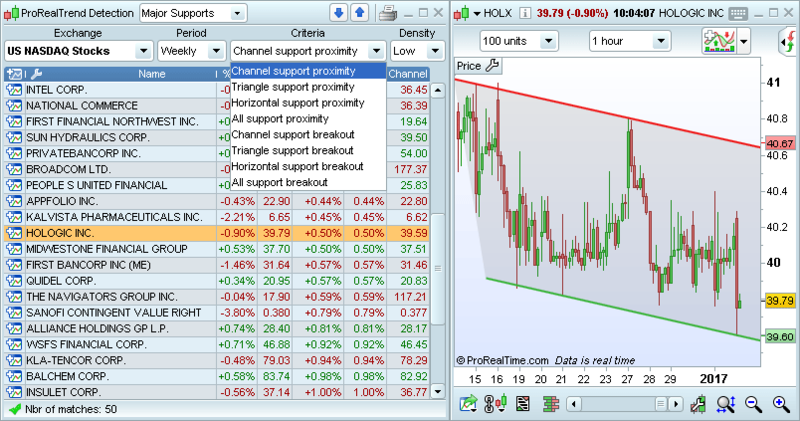 ProRealTime is directly connected to many of the largest exchanges (no intermediaries). These connections used leased lines and fiber-optic connections for the best connectivity. The platform has access to two separate datafeeds and datacenters to ensue continuity of services. 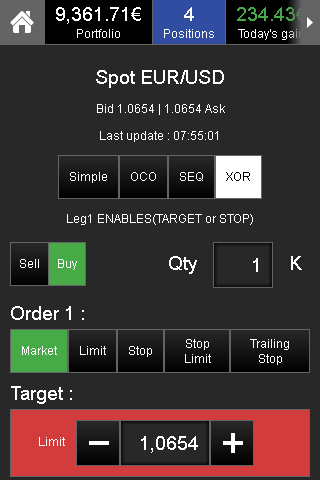 has led major banks & brokerage firms to rely on our services. 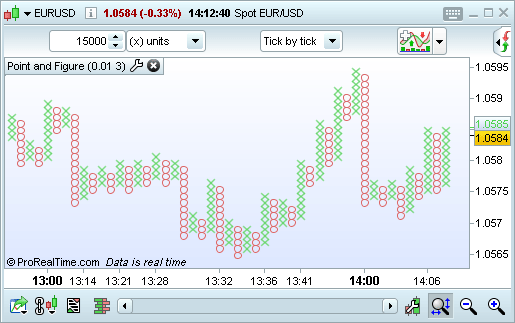 The real-time version of the platform lets you view multiple charts at once and access intraday time frames. 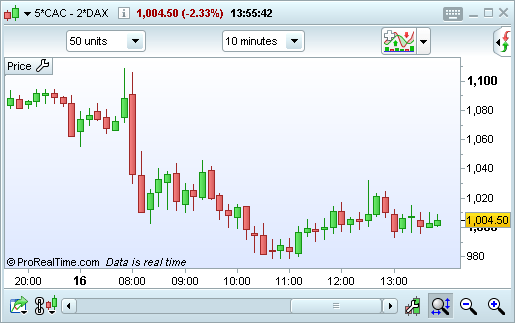 The Complete version with real-time data also includes access to historical intraday charts. 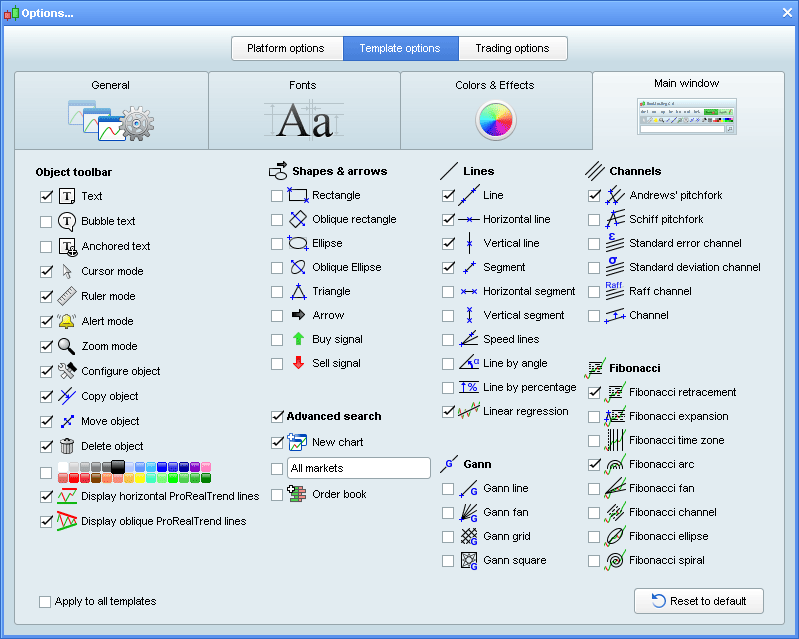 More history is also available in the Premium version of the software. 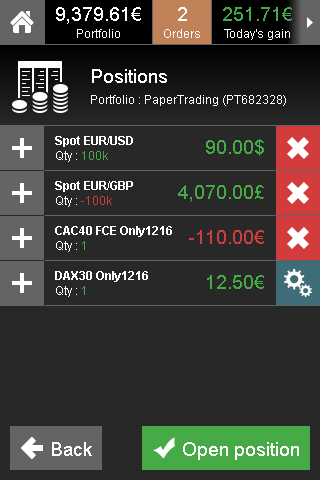 The mobile version of ProRealTime lets you track markets and trade from your phone. 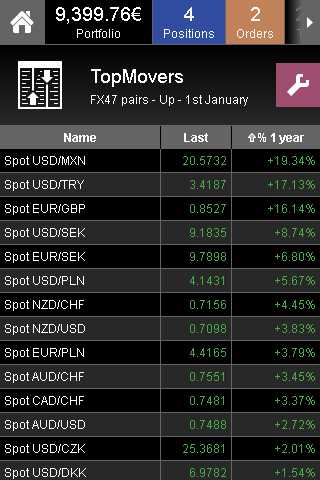 Real-time access to the Complete or Premium version includes real-time data access from the mobile app! 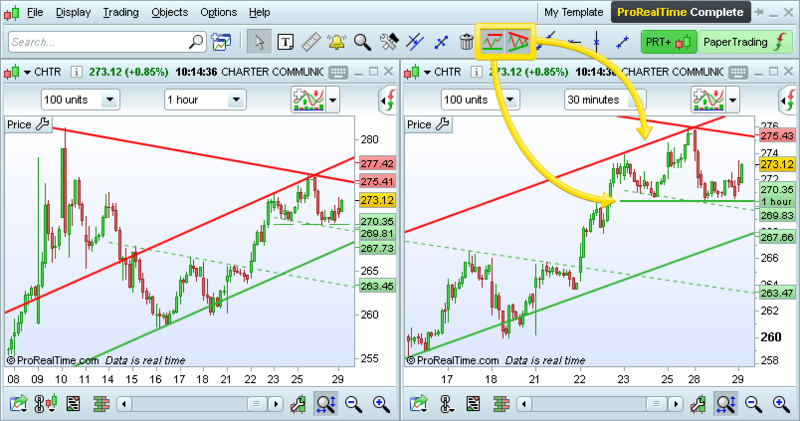 Use indicators and objects on all intraday timeframes. 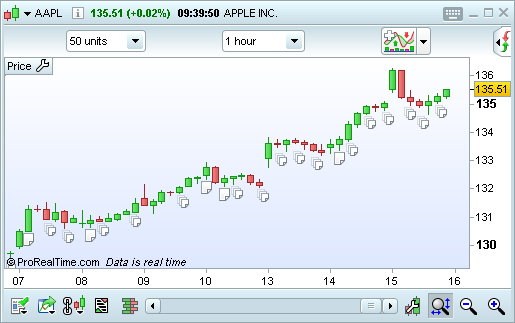 ⁓ DJ30 Industrial Avg Index ⁓ APPLE INC. ⁓ QUALCOMM INC.
ProScreener feature performs full market scans to identify financial instruments matching your investment criteria. 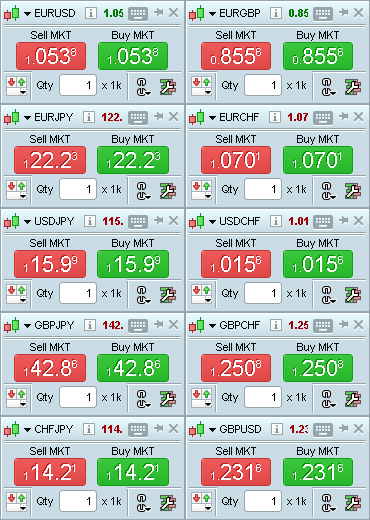 Full market scans: scan entire equity markets, or the Forex market, or scan segments (ex: US Tech 150), or scan your personal lists. 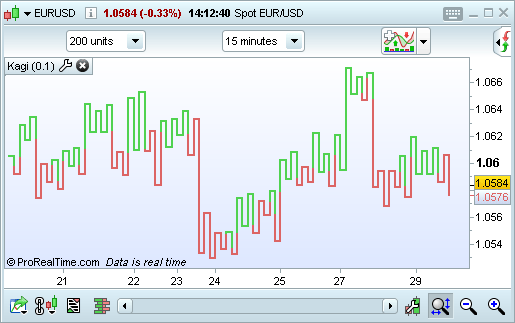 Real-time: the results of your scans update in real-time to detect new securities matching your conditions. 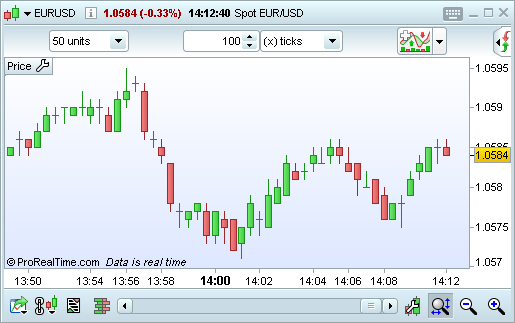 Intraday time frames: with the real-time version, you can scan based on intraday timeframes (ex: criteria based on the 15-minute or 1-hour moving average). 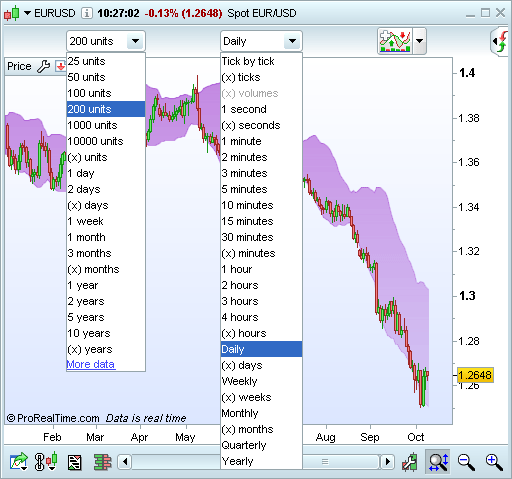 Multi-time frame: define scan conditions in multiple timeframes simultaneously. No programming required: ProScreener includes a wizard to help you to generate complex scans within minutes and with no programming required. 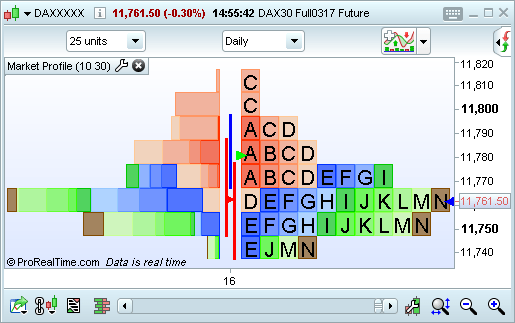 Example: The ProScreener stock screener filters 3700 stocks in the NYSE market in real-time to extract 47 stocks showing a change in direction of the Moving Average, a positive MACD and a positive value of a custom indicator. 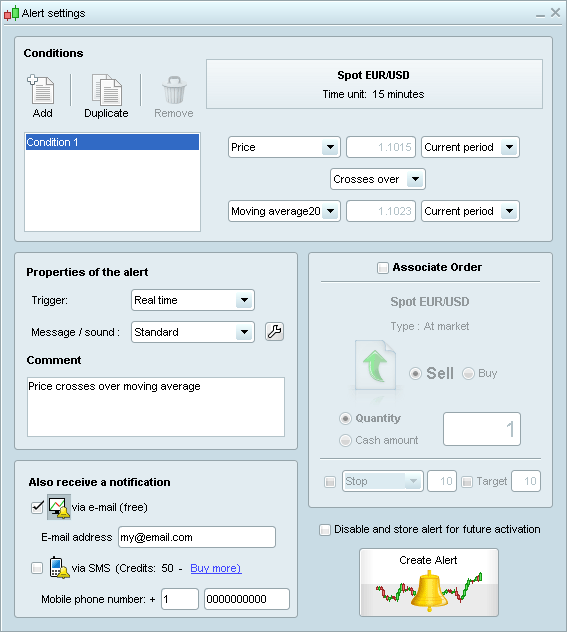 The ProOrder automatic trading module lets you automatically execute the buy and sell orders or your investment strategy. Reliability and security: 100% server-side technology. 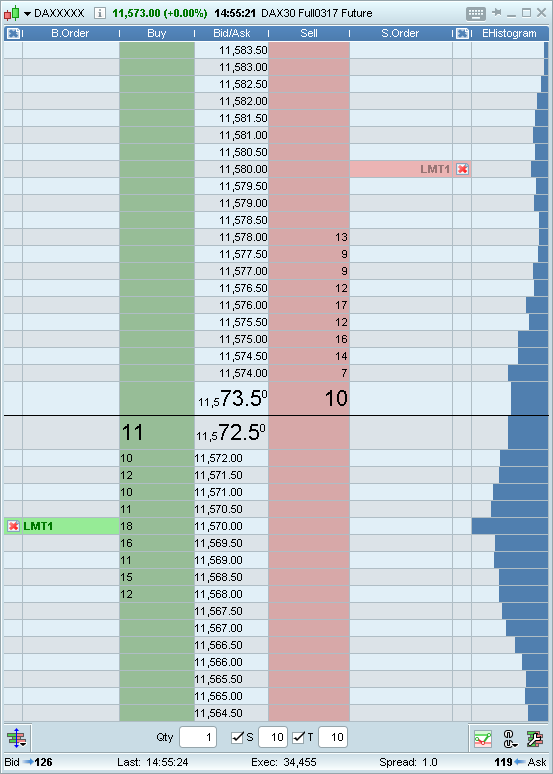 Use detailed reports to improve your money management. 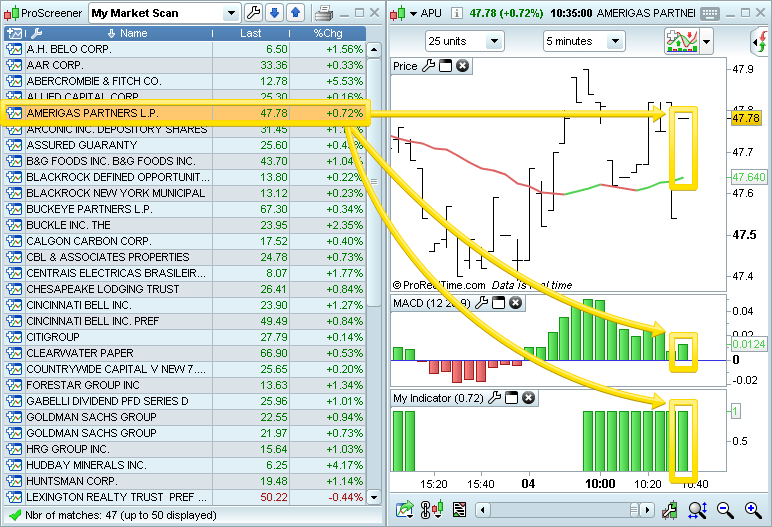 Chart styles based on price movements can be used in intraday views, enabling more precise analysis. Real-Time access with level 1 and above give you access to 4 book modes. 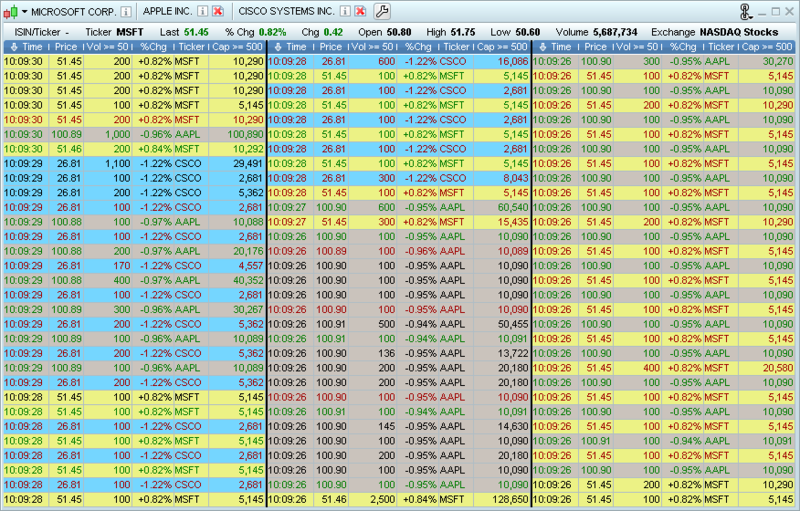 Tick by tick data can also be exported from lists to external spreadsheets with DDE Data export. 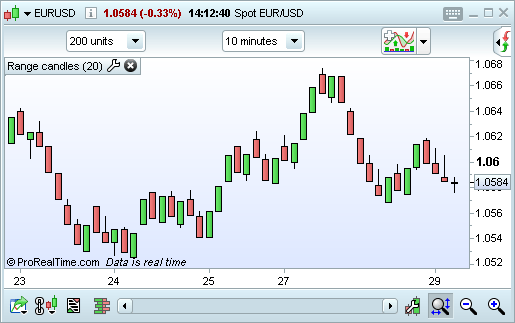 ProRealTime lets you program your own indicators and also import indicators created by other users. 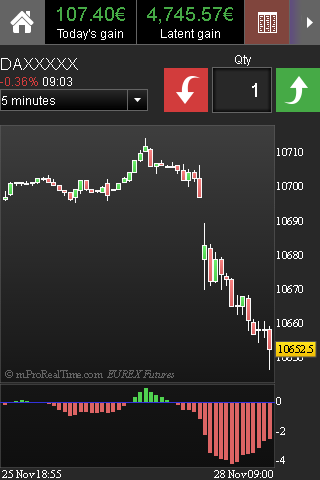 The real-time version of the plaftorm will let you use these programs on intraday charts. 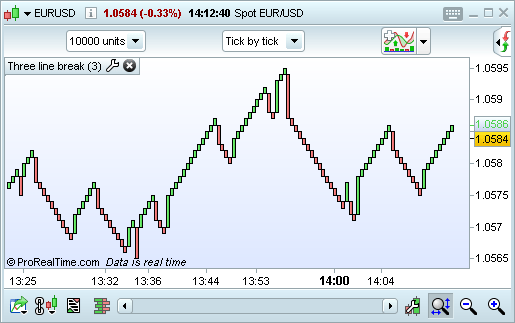 Also, several indicators and programming instructions are only usable with intraday charts, including the following. 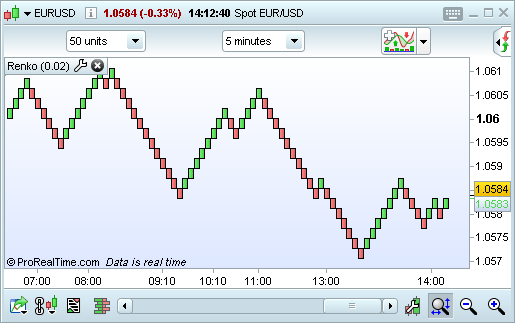 To see some examples of programs that can be imported and used in intraday time frames, visit our partner website ProRealCode.com. 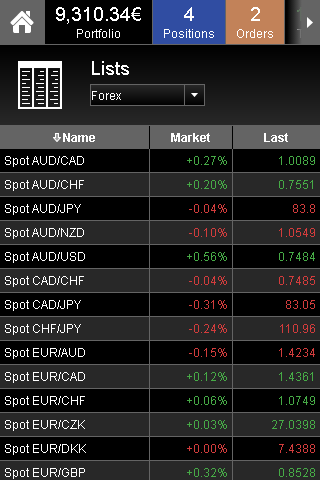 and get the software for free if you are active. 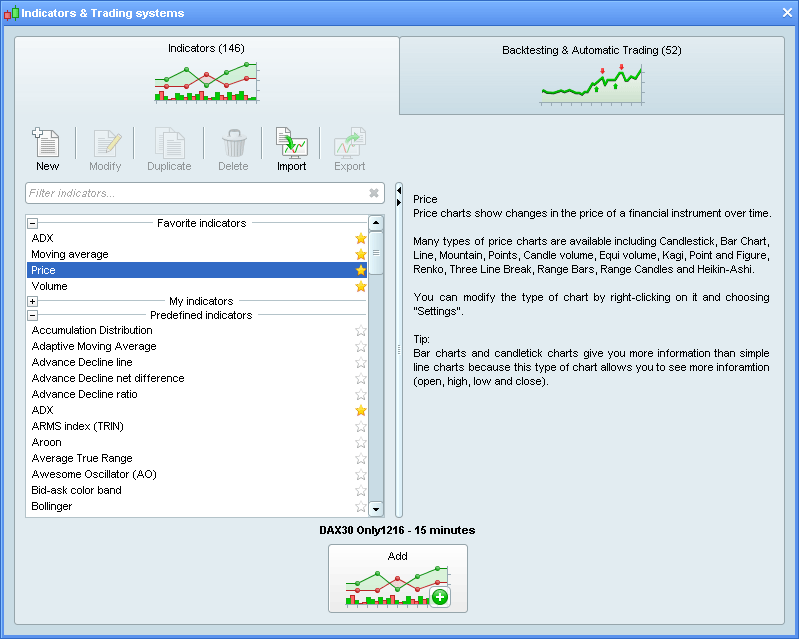 You just read about the advantages of the Complete version with real-time data.